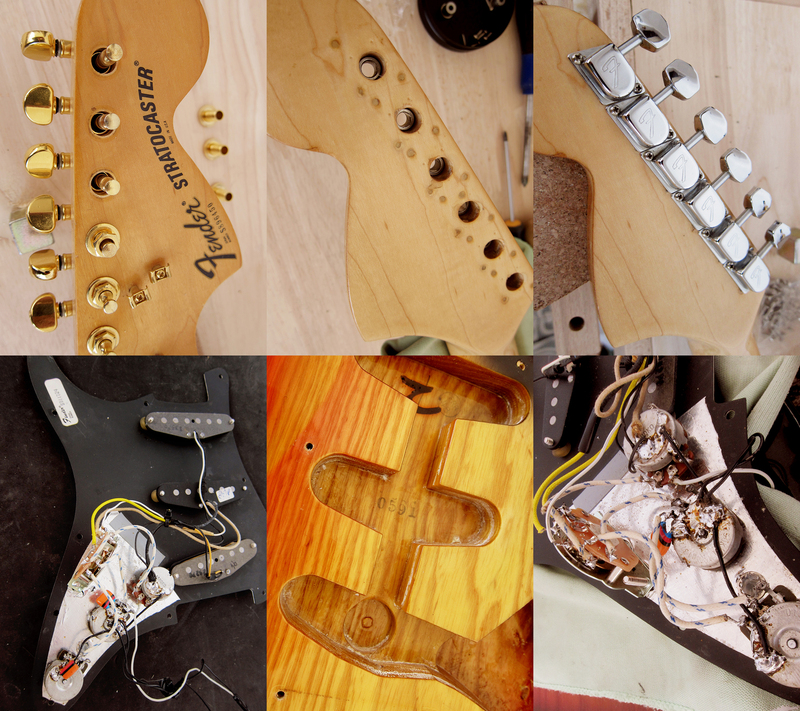 This weekend I restored my 1979 Fender Stratocaster to it’s original state. One pot has been changed at some point and I needed to put in a new 5 ways switch but the rest seems to be all original. Well the middle pickup is a bit of a mystery, I’m not sure if it’s a Fender pickup or if it’s something completely different, either way it sounds awesome. It has staggered pole pieces, something that Fender stopped with in the mid 1970’s so I would say that it’s either an older Fender or a newer Japanese pickup. 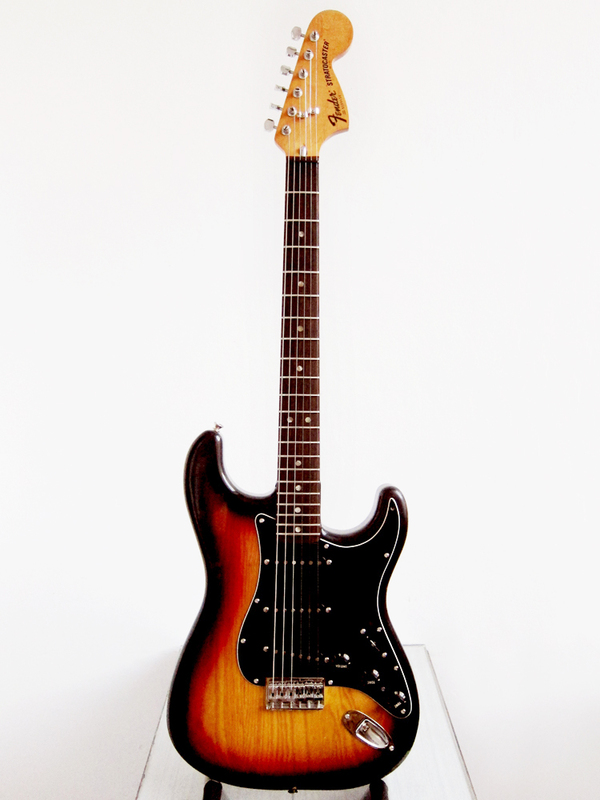 I really like the look of the guitar now, a classic late 1970’s 3 tone sunburst hardtail Fender Stratocaster. The guitar is for sale here. First I had to check that the original pickups even worked. After getting pretty strong readings I decided to install them, now I knew in which order to put them too since they weren’t marked with neck, middle and bridge. I filled the old holes from the gold Gotoh machine heads with a tooth pick and normal wood glue, it worked really well. When I removed the terrible shielding job that was done before I could for the first time see the serial number, this body was made on a Monday in the 5th week of 1979. The neck is from 1978 which makes sense if it was put together early the following year. 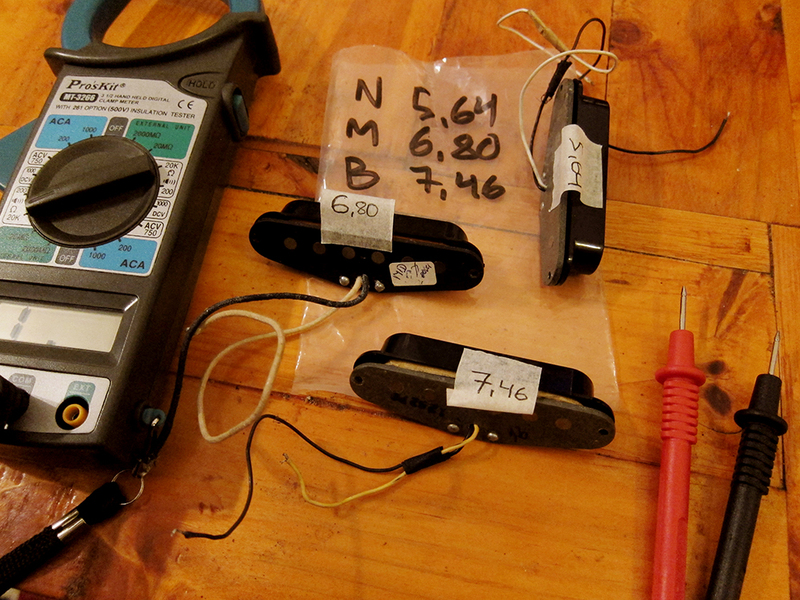 I have to go through the soldering again though, there is something that isn’t right. I noticed when I had put it back together that there something wrong with the middle pickup, it sounded like a wah wah stuck in one position. Well first thing I realised was that the switch was the wrong way around so that has been flipped now, then after a lot of detective work I figured out what was wrong. The middle pickups wires was the other way around, the white was the ground and the black was going to the switch. There was also an extra capacitor on the second tone pot that I had to remove. Now everything works perfectly and it sounds awesome, I really love this guitar. 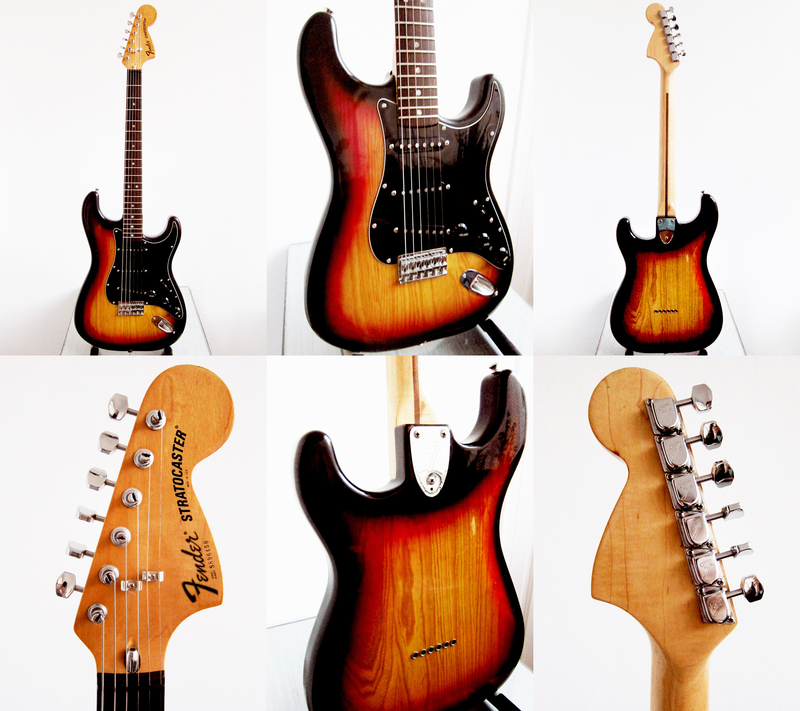 Thanks again to Dating Late 1970’s Fender Stratocasters for all the useful information.